Any parent knows the potential for agonizing torture when their child gets into a teen (pre-teen) show. There's the bad acting, the absurd plots, the cute lead actress who also wants to be a singer and all the product tie-ins. Sometimes however, it is much worse. You actually begin to like the show. It becomes a guilty pleasure and you find your self caring. You try to justify it a million different ways but the shame is still there. 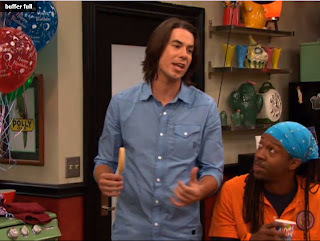 The show that has sucked me in is iCarly which airs on Nick. There I admit it. However, I defend myself by claiming to watch for spotting purposes. 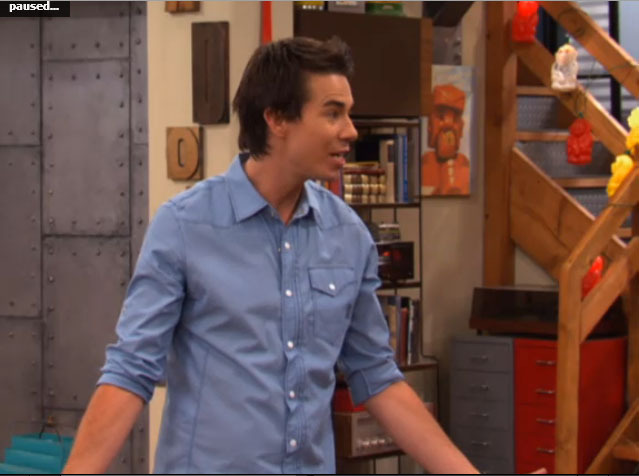 The main set of the show is Carly's apartment. Her brother & guardian is an artist which helps to explain the eclectic mix of novelty products, sculptures and collections. Amongst the hodgepodge of set dressing are IKEA products incorporated into the set. The kitchen features a VÄRDE storage island with red drawers. EKBY MOSSBY/ EKBY BJÄRNUM combination of shelves on the side wall. The kitchen cabinets are IKEA with LANSA handles. In the living area, tucked into a corner beneath the stairs are 2 HELMER drawer units. In a hallway are 2 IKEA PS Cabinets stacked on on top of one another. 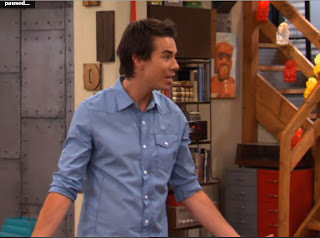 In the episode iGot a Hot Room we see Carly's bedroom for the first time in four seasons. 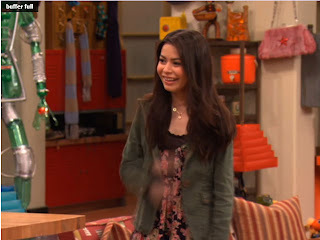 The plot device is a fire at the beginning of the episode which requires the entire place to be rebuilt and refurbished. Thus a new eclectic set was introduced. We see in the big reveal that in her new hot room she has a MANDAL bed and modified MANDAL dresser. Her nightstand looks like a hacked Malm nightstand in the same line as a hack shown here. That is just a guess. While doing my research for this I came across the site which provides some of the quirky novelties scattered throughout the apartment. If you are looking for a gummy bear light, ice cream sandwich bench or simply want to browse a fun sit check out Jellio. I wish I hadn't looked at Jellio! I want that cupcake table, alas it's waaay out of my price range. I know. Even the Gummilights are $125 a piece. Sigh. Not fair. Everyone deserves a little whimsy in their lives. I'm glad my daughter's obsession with iCarly has an upside for you. Better not show her the Jellio site. She'll be demanding a room to match Carly's!